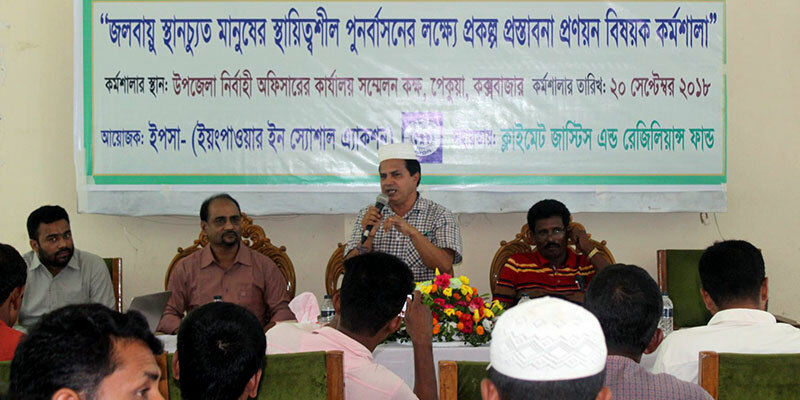 YPSA organized a workshop on preparing project proposals for community-based sustainable rehabilitation for the highly distressed climatic induced displaced families of southeast coastal area of Bangladesh. 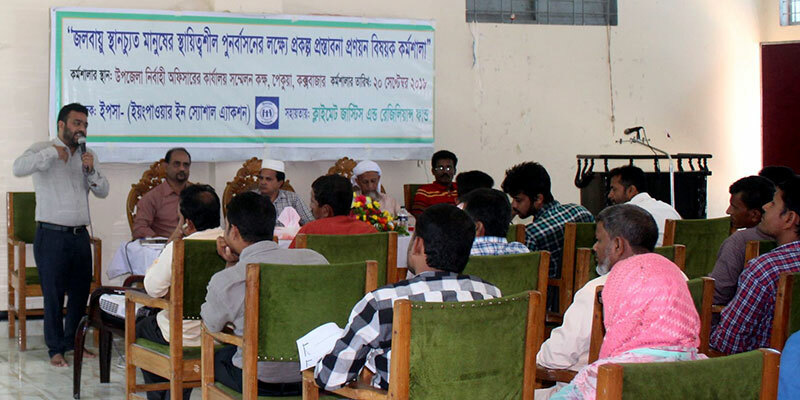 The workshop was held on 20 September at the conference room of Upazila Nirbahi Officer’s office of Pekua. Upazila Nirbahi Officer Mahbubul Karim addressed as the chief guest while Deputy Director of YPSA, Mohammad Shahjahan presided over the workshop. Morshed Hossain Mollah from YPSA presented a keynote paper. Among others, Upazila Secondary Education Officer AFM Hasan; Chairman of Rajkhali Union Syednur; Chairman of Barabakia Union Badiul Alam Jihadi; Panel chairmen of Ujantia Union M Shahjamal and members of different union councils gave their speech in the workshop. Government officials from different departments, local journalists, civil society, NGOs and representatives from climate displaced people participated in the workshop. “Those who are victims of climate change can make their habitat in new places if they are well-off, but those who are not able to do it. As a result, they are permanently tied to the evil cycle of poverty.” Speakers said in the program. “There is no alternative to planned rehabilitation for such victims, so that they can live in safe areas from the risky area and get all basic needs.” They added. Thanking the participants, Tasnima Matin, Program Officer, YPSA delivered the closing statement.